Fabulous location, very quiet, yet right in the center of town Domna Studios is in the traditional village opposite the Acropolis and only a 2-minute walk from taverns, cafés-bars and shops. Panoramic views of the Aegean Sea and the town will amaze you from most of the balconies. These apartments feature clean comfortable spacious rooms with great beds, air conditioning, free Wi-Fi throughout, 32″ LCD TV, kitchen area, free toiletries, hairdryer and a safe. The beach is only a 5-minute walk away. Rhodes Town, the airport and its port lie within 45 km. Free public parking can be found at a location nearby. There is luggage storage space at the property. 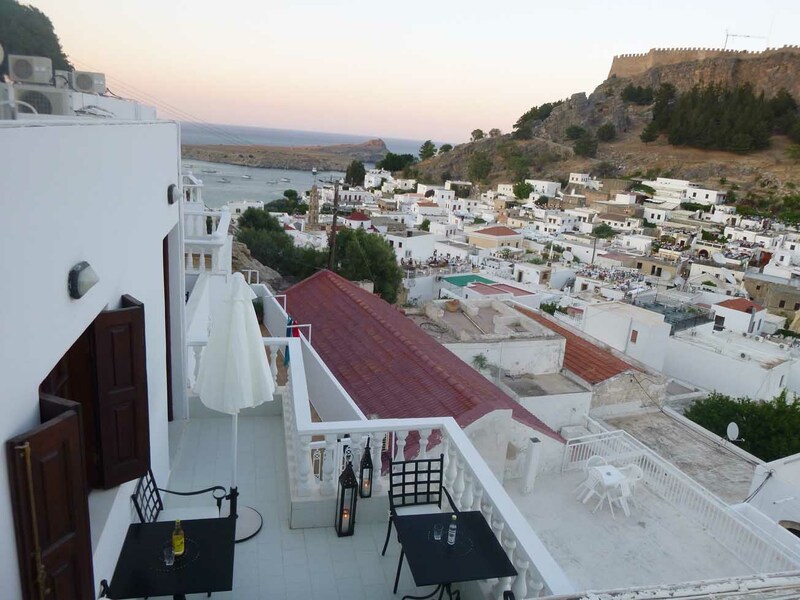 This air-conditioned studio situated in a quiet location within Lindos. Has been recently renovated and decorated. 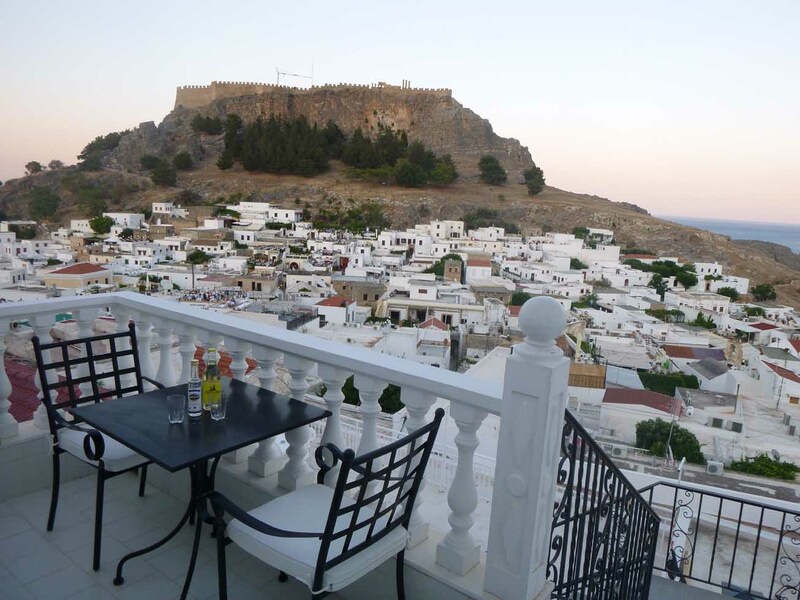 Superb views of the Aegean Sea the old town and its acropolis from its balcony. Free Wi-Fi. Includes: -kitchenette with fridge, cooking hobs and kettle -cable TV -safe -hairdryer. This air-conditioned studio situated in a quiet location within Lindos has been recently renovated and decorated has a view to the back rocky area of Lindos. Customers have access to an outside sitting area where they can enjoy their drinks or breakfast while viewing the village, Acropolis and the Aegean sea.